Congratulations to all 5 Juventus teams participating in ASA Tier 1 Provincials, August 23-26 in Edmonton. Good luck to all our teams; U13Boys-Mosele, U13Boys-Dugas, U15Boys-Lechelt, U17Girls-Buchanan & U17Boys-Andersen. The club is proud of your accomplishments and we wish you much success! Forza Juve!! Juventus is looking for coaches to work with our U8, U9 and U10 teams as well as with some of our older teams. We are also looking for a Goalkeeper Coach. 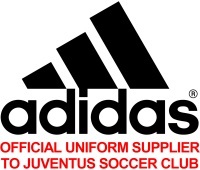 is the official uniform and equipment supplier to Edmonton Juventus Soccer Club. The online store is accessible by clicking HERE.